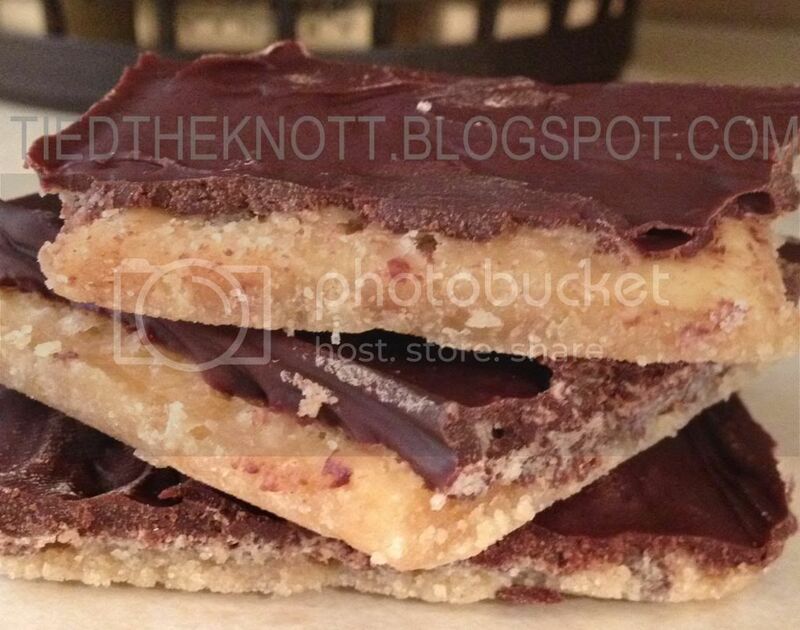 Have you ever had toffee made out of saltine crackers. You should. We will only make this during the holidays because even though my mouth loves the lovely addition of these delectable bites... my bee-hind has a different opinion. Wrap your cookie sheet or jelly roll pan in foil or you will never get these bad boys out of it. Line your pan with the crackers. Mix together butter and sugar and bring it to a boil. Let boil for 3-4 minutes or until it starts to thicken and the sugar is gone. Pour onto the crackers and stick the combo into the oven for about 5 minutes or until you have bubbles all over. Remove from oven and immediately sprinkle with chocolate chips. When melted enough, spread to form a frosting. These sound delicious! I love toffee. I think I'll have to try them!